To Obama administration alumni and other detractors of Israeli Prime Minister Benjamin Netanyahu, there was nothing all that new or noteworthy in his presentation of a treasure trove of Iranian nuclear intelligence obtained by the Mossad…writes Jonathan S. Tobin. While Netanyahu’s remarks contained dramatic revelations about a secret Iranian nuclear program and proof that Iran had been lying for years up to the implementation of the nuclear deal it concluded with the West, to the prime minister’s critics the speech was just another excuse to bash him for his style and his dogged opposition to the Joint Comprehensive Plan of Action. Netanyahu has become a polarizing figure, both in terms of Israeli politics and in the United States. 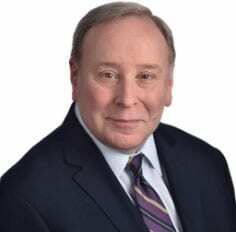 For good or for ill, his antagonistic relationship with President Barack Obama and his closeness with President Donald Trump have come to mean that for many people, where you stand on Netanyahu has more to do with your partisan loyalties than the merit of his positions. Unfortunately, the Israeli leader’s comments on Monday provoked those same predictable reactions, along with snide comments about his PowerPoint presentation that reminded many of the cartoon bomb used in his 2012 speech at the United Nations about Iran. That’s unfortunate because he had a lot to say that needed to be heard. And it’s especially true for those who have become deaf to arguments about the nuclear deal’s ability to forestall the nuclear threat from Iran. Israel’s findings make clear that the calculations that led to the agreement—and that continue to be employed by its defenders—are rooted in false assumptions. The main argument put forth by those who have tried to downplay the significance of the intelligence Netanyahu presented is that even if it’s all true, it’s old hat. All of the material dates back to before the JCPOA was agreed upon in July 2015. The deal’s defenders now say that everyone knew that the Iranians were lying about not trying to build a nuclear weapon. The fact that they had a secret, parallel nuclear project in addition to their public program (whose archives were raided by the Israelis) is therefore meaningless. They argue that the mendacious nature of the Iranian regime is exactly why Obama’s deal was needed and must be kept in place. 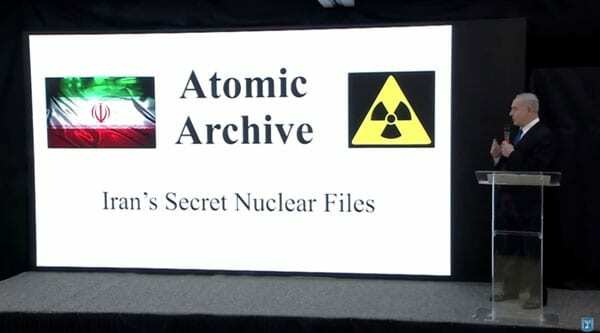 No matter what mischief the Iranians were up to before 2015, they are convinced that the inspections conducted by the International Atomic Energy Agency are enough to ensure that no such duplicate program can currently exist. Therefore, they assert, the fact that the Iranians were cheating prior to that is meaningless. There are two problems with that reasoning. Israeli Prime Minister Benjamin Netanyahu delivering a speech from the Israeli Defense Ministry regarding evidence of Iran’s nuclear program and violation of the 2015 nuclear deal. Screenshot. The first is that it’s not true that everybody knew Iran was lying. In fact, the U.S. intelligence establishment—whose confidence in the deal and in Iranian compliance is constantly being cited by those who oppose Trump’s intention to withdraw from it—didn’t know. Worse than that, American intelligence spent the last years of the George W. Bush administration doing its best to convince the world of the argument that the Iranians weren’t lying about their weapons program and had ceased its strive towards production. The 2007 National Intelligence Estimate claimed that the Iran had abandoned its efforts to build a bomb in 2003. Those claiming that Israel’s fears about Iran were exaggerated used that estimate as a cudgel to beat down efforts to raise the alarm about the danger of the Islamist regime. The estimate continued to be cited in the early years of Obama’s presidency as he sought to rally public support for an effort to create a rapprochement with Tehran. The Israeli findings show that American intelligence was dead wrong. How that could happen? The short answer is that like all human institutions, intelligence agencies are fallible. In 2007, the U.S. intelligence establishment was still reeling from its colossal error in Iraq that helped justify the invasion of that country. President George W. Bush took the blame for that blunder, with some still claiming that he “lied” America into a war, rather than it being a case of him believing what the experts told him. Many of those same people were determined never to make that mistake again, and so they decided to take the opposite tack on Iran. Yet the Israeli findings prove that they were just as wrong in 2007 as they were in 2003. More importantly, the assumptions about Iran spread by the media “echo chamber”—to use the phrase coined by Obama’s Deputy National Security Advisor Ben Rhodes for the efforts of the president’s tame press-cheering section—never spoke of Iran lying during the debate over the merits of the Iran deal in 2014 and 2015. Just as problematic is the argument that we can be sure the Iranians aren’t lying now because of the IAEA’s inspections and the ability of Western intelligence agencies to know if Tehran begins cheating on the deal. After all, if Iran was able to hide a duplicate nuclear program from the West prior to 2015, how can we believe that the same regime can’t or won’t do it again? The IAEA inspections don’t extend to military bases and are not, despite the Obama administration’s initial promises, of the “anytime, anywhere” variety. Israel’s feat was an amazing act of derring-do, but what they learned should disabuse us of blind confidence in the ability of Western intelligence to be ahead of the curve when it comes to Iran. That’s why the sunset clauses that will allow the restrictions on Iran’s program to expire within a decade are so dangerous. If the Iranians lied before and are likely lying to us again now, then what possible hope can we have that Western governments will have the time to head off an Iranian nuke once Tehran is ready to break out from the agreement? Netanyahu’s critics can snipe all they want about his presentation. But Israel’s proof that Iran was being deceitful shows how untrustworthy the assurances of the nuclear-deal’s defenders are. Trump is right to take this evidence to heart. Iran’s mendacity is one more reason for the United States to begin the necessary work to change or scrap a pact that was based on untruths and continues to be defended by false assumptions. For many nations, especially the Europeans, revenue from business with Iran is important, but the Iranian march towards genocidal capability against Israel is not. As one local politician put it, the lifting of sanctions has opened up “business opportunities” in Iran. The hollow posturings, contortions and lies that are perpetrated in attempts to deny the undeniable are a crime against humanity.